First Sentence: Ivy paused, trying to compose herself so that the pen in her hand would stop shaking enough for her to write. My Opinion: I was fortunate enough to obtain an advance copy of the paperback edition of 'The Girl in the Letter' from the publicity department of Headline. I am so pleased that they gave me this opportunity as somehow, I had missed hearing about this novel when it was first published last year. Having never previously heard of Emily Gunnis it was interesting to discover that she is one of the four daughters of the sadly deceased author Penny Vincenzi whose writing I enjoyed in the nineties. Made me feel old to think I was now reading her daughters work, however Emily's portrayal of her protagonist's sixty year old grandmother was nothing like me or any 21st century sixty year old I know! A baby taken from its mother affects generations of women and sadly this poignant story set in the 1950's is particularly heart wrenching as it is well known that single mothers were indeed treated very badly in mother and baby homes. As the author wrote in her notes "It was not 'evil nuns' that enabled the systematic abuse of thousands of women and children to take place. Nuns were the face of the institutions, but it was the wider communities in which these young girls lived that really allowed these atrocities to occur: the parents, the uncles, the doctors, the local government solicitors and adoption agencies - everyone who turned a blind eye." The dual time aspect works well as Sam Harper the modern day protagonist, after coming across a letter from one such young mother incarcerated in one of these homes decides to unravel the mystery surrounding Ivy Jenkins. An outstanding debut dealing with these harrowing atrocities that occurred in the fifties but managing to weave them into a readable novel that is recommended to just about anyone that loves a good read. Certainly a good choice for book clubs as there is so much potential for discussion. Emily Gunnis lives in Brighton, Sussex, with her husband Steve, an architect, and their two daughters, Grace and Eleanor. 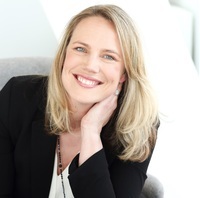 She has wanted to be a published author since her mother, Penny Vincenzi, got her first book deal, now thirty years later she has discovered it is slightly more difficult than she made it look. 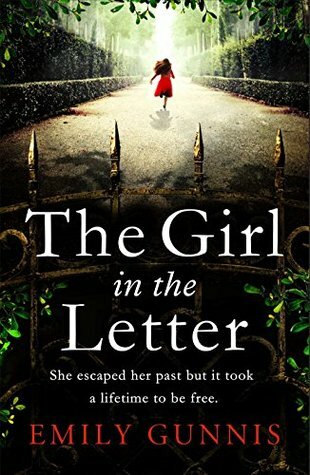 After graduating in Journalism in 1997 she began writing scripts and had two episodes of BBC Doctors commissioned, while I working as a PA at the BBC and the Daily Mirror newspaper she learnt as much as she could about storytelling until it all became fodder for her debut novel, The Girl in the Letter.